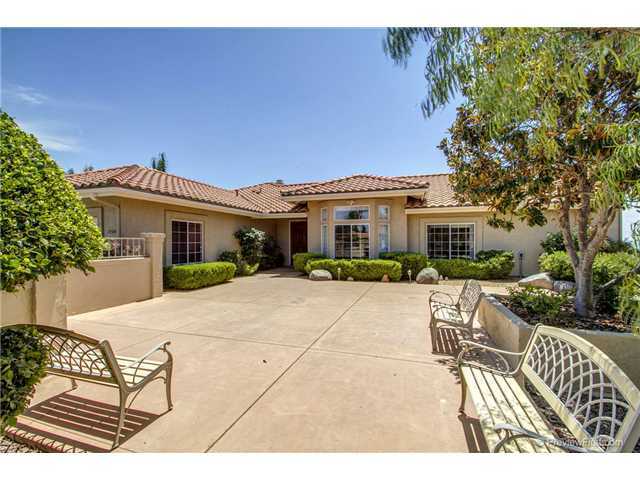 Lovely one story home in Country Squire with beautiful views. Large multi-level redwood deck perfect for entertaining. Kitchen with charming breakfast nook, family room with stone faced fireplace, master bedroom has slider doors to patio/deck & ensuite bath. Spacious floor plan with 4 bedrooms and 3 baths. Wood flooring, ceiling fans. Whole house water filtration system, exterior & fence freshly painted. One acre lot with room for pool. RV or boat parking behind gate.